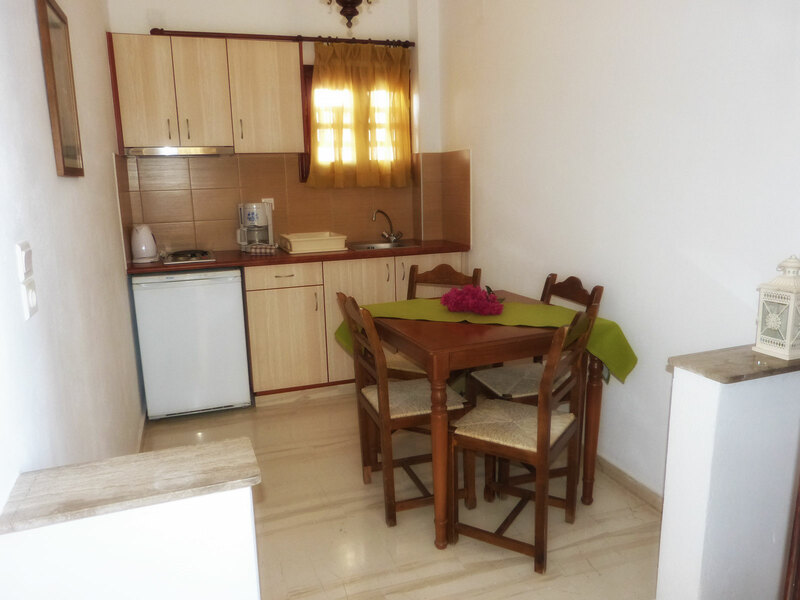 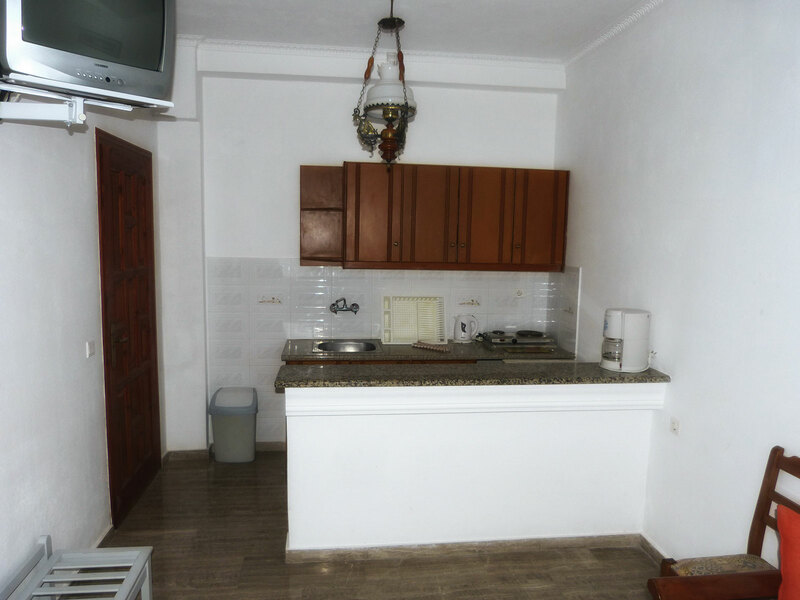 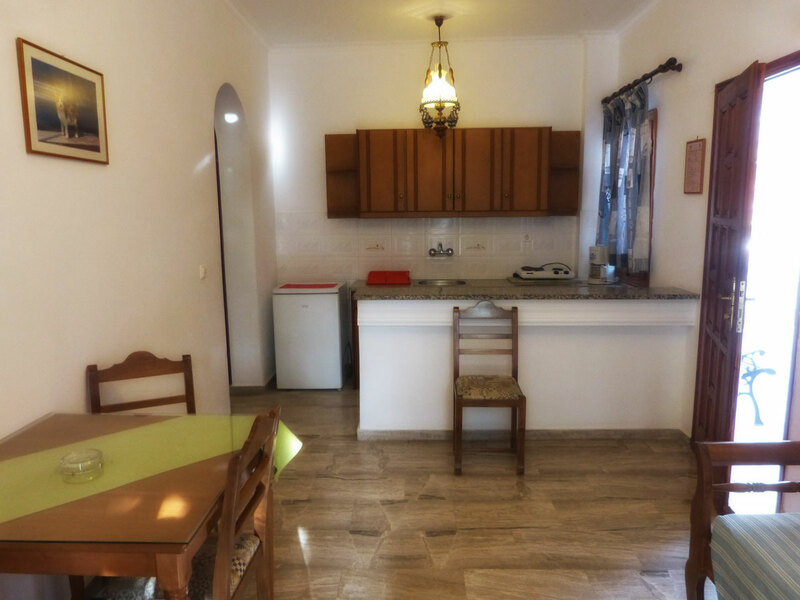 A large apartment from 45sqm to 60sqm that can accommodate up to 3 persons, with a spacious living room and open plan kitchen and coffee facilities. 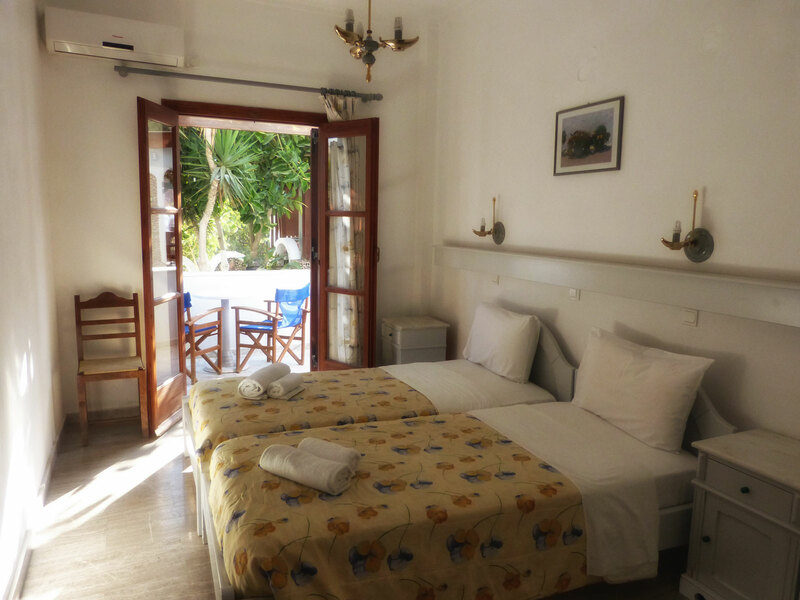 Separately the bedroom has a double bed or twin beds. 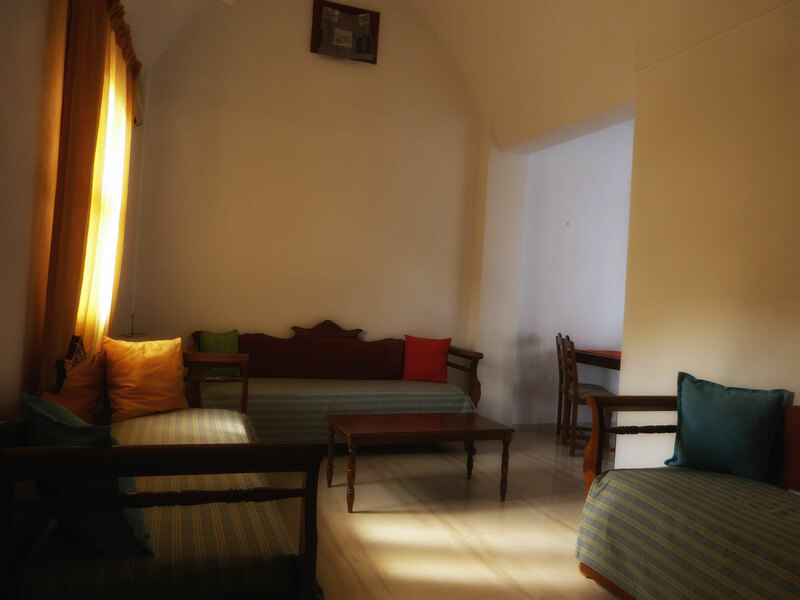 Extra persons can be accommodated in the living room area in comfortable sofas or normal beds. 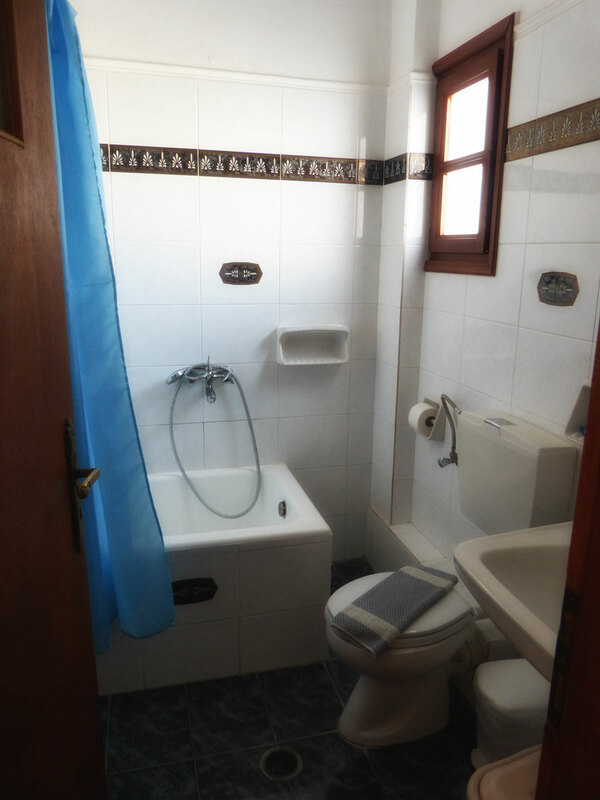 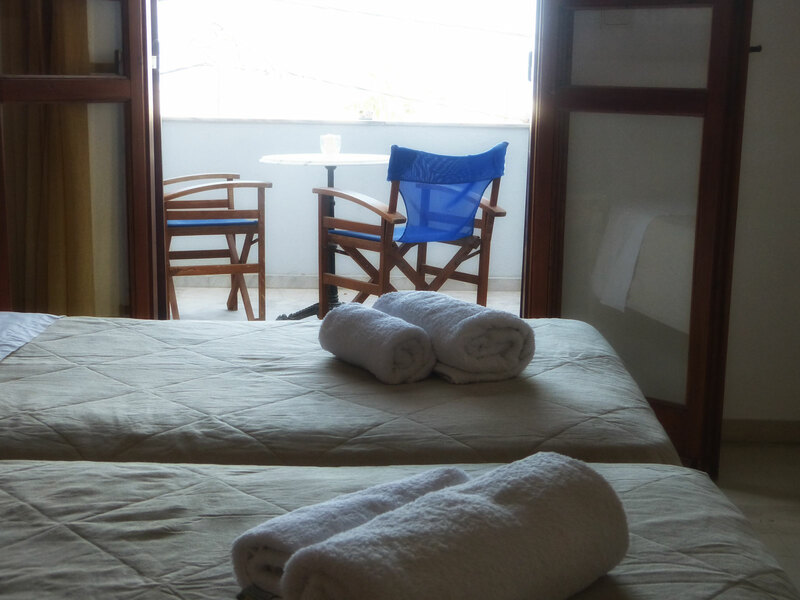 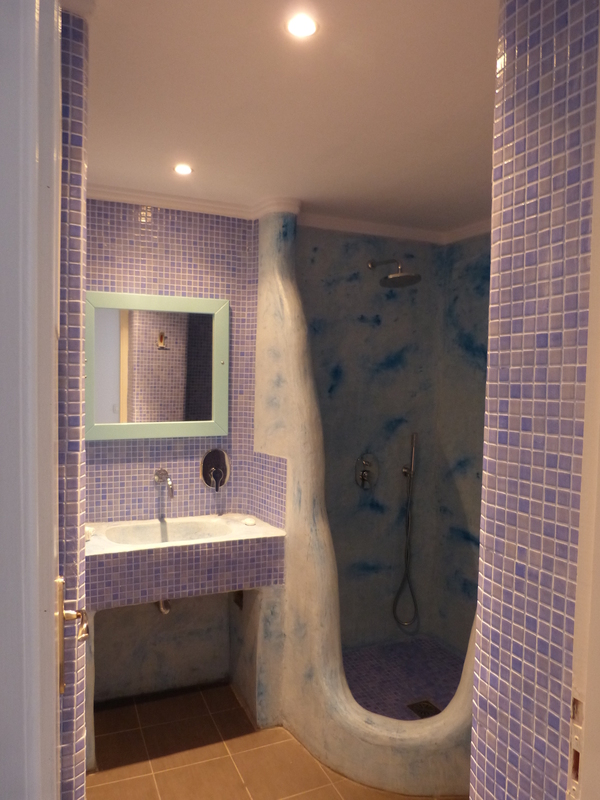 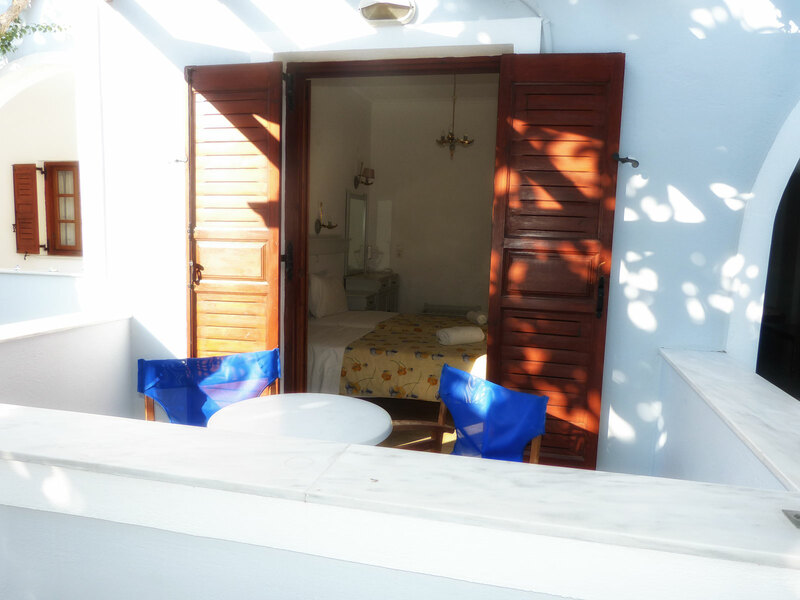 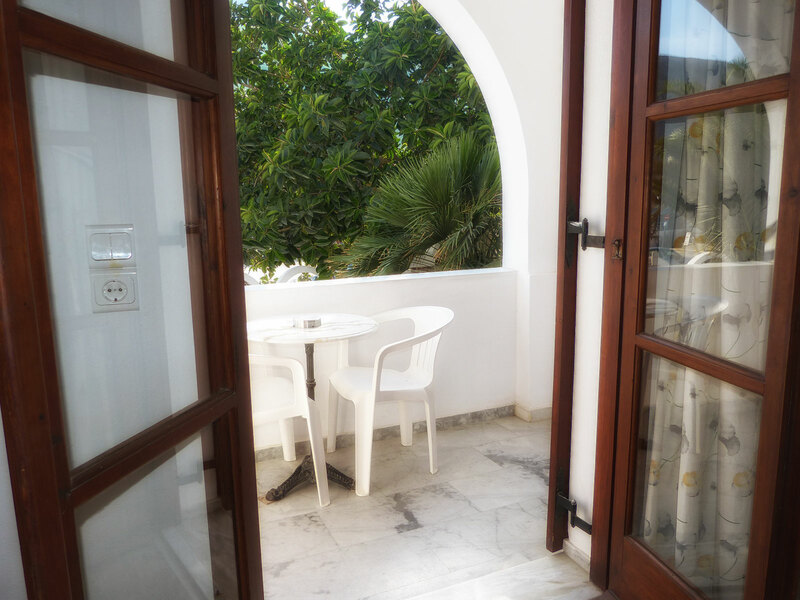 The bathroom has shower and the balcony or the veranda overlooks to the pool or Ancient Thira. 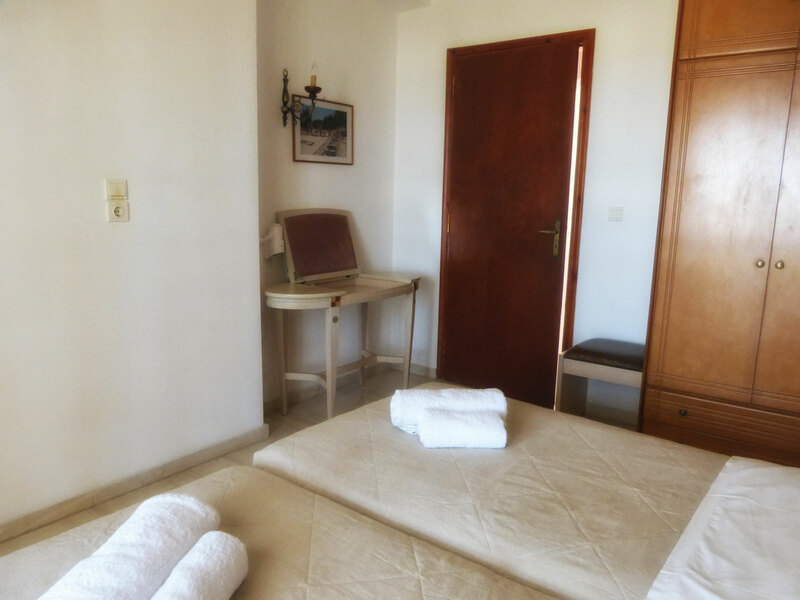 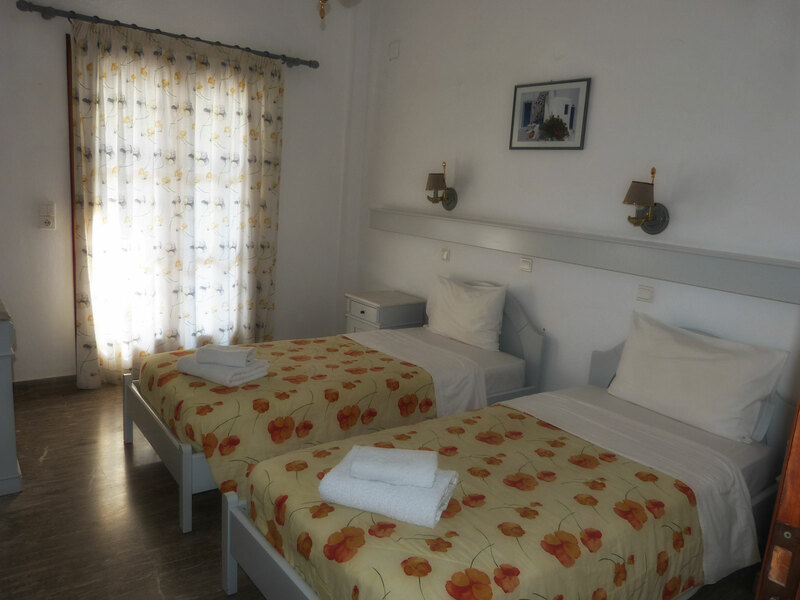 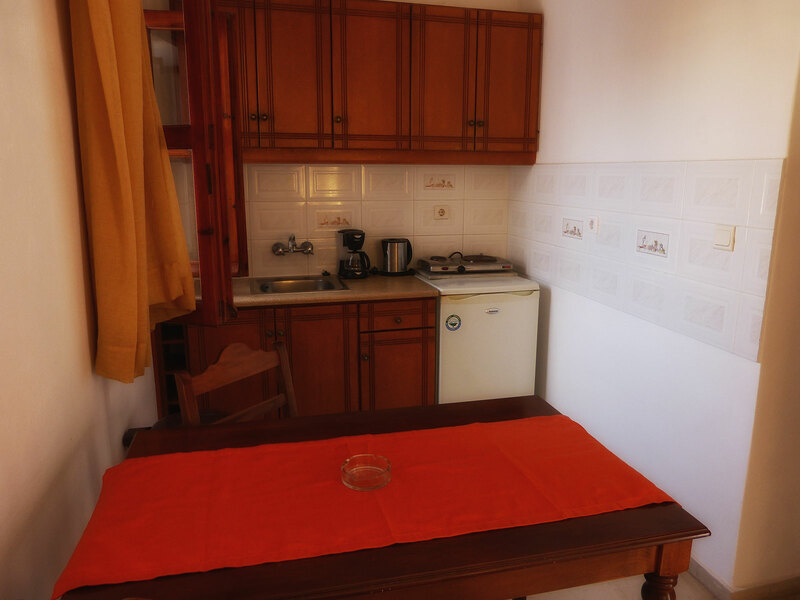 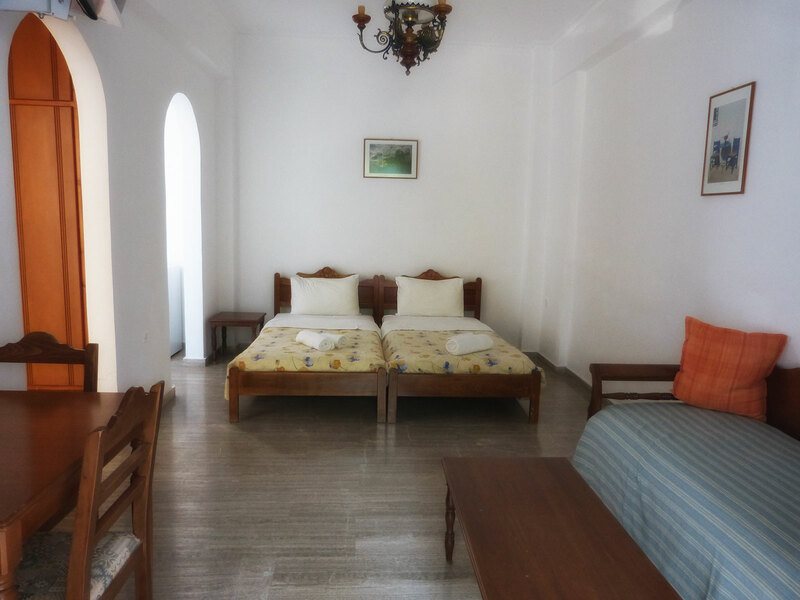 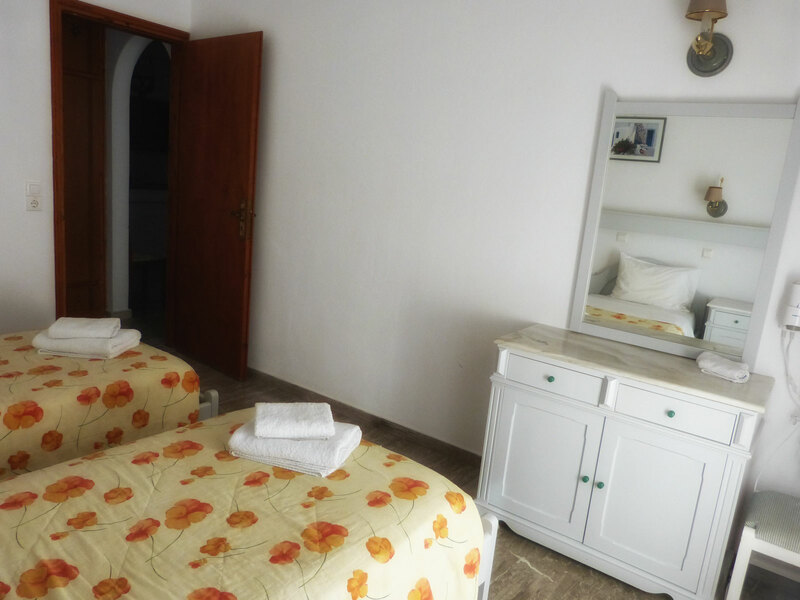 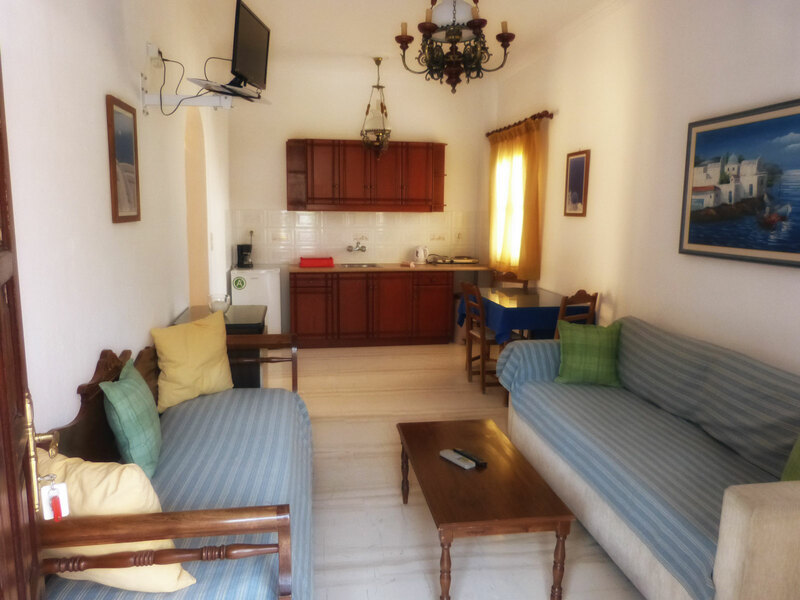 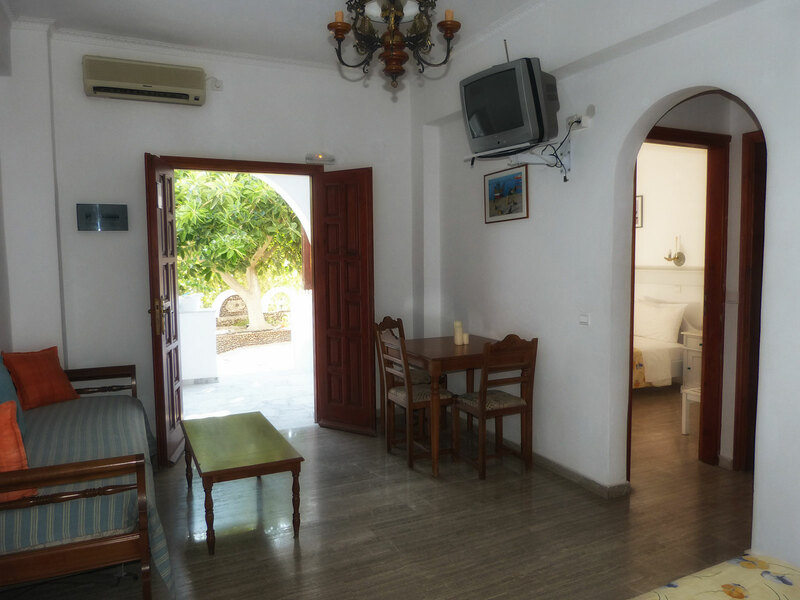 All Traditional Suites have air conditioning, Satellite TV, direct dial phone, fridge and hair dryer,kitchen facilities, coffee facilities and kettle.